Knowledge is power. At EPS, we offer parenting classes that provide you with necessary skills on this journey to becoming a parent. You are not alone. We have a community of people who are here to support you. We can help problem solve. 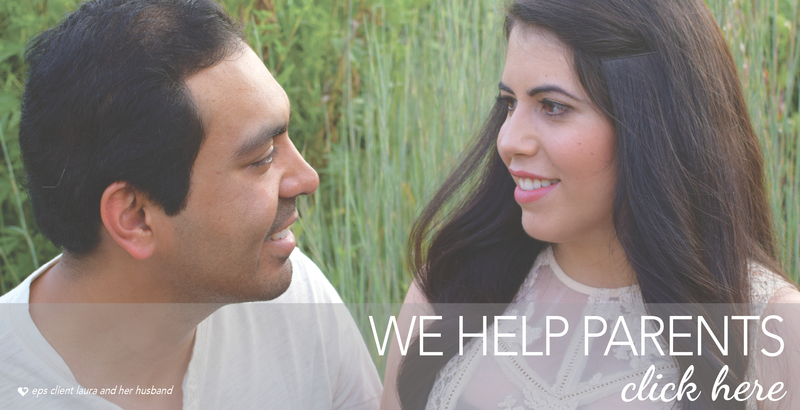 We offer material support for you and baby and will connect you with other valuable resources to meet your needs. My husband or boyfriend doesn’t want the baby but I do. I cannot afford a child. I don’t have health insurance or resources. I cannot tell my family. Sometimes you just need someone to listen. We can talk about what you are experiencing, the concerns you have and your hopes for the future so you can decide if parenting is right for you. Call today for a private appointment. We are here for YOU. Call us at 402.554.1000. We are more than proud to say that EPS has been a saving grace to us. EPS is the most loving family that we could have ever asked for. They were always there for our family when we needed anything, both emotionally and with material support.